Families ... some are known as political dynasties and for enduring numerous tragedies – think Kennedy; others are immediately recognized as sports legends – think Manning (Archie, Peyton, and Eli); and there are those known for their outreach to share their faith with the world – think Graham. Their family legacies are obvious – and synonymous with their calling in life. On my honor, I will do my best to do my duty to God and my country and to obey the Scout Law, to help other people at all times, to keep myself physically strong, mentally awake, and morally straight. The Morriss brothers – Josh III, Don, and William – certainly epitomize this oath and fondly speak of the positive influence their parents, Josh, Jr. and Martha Williams Morriss, and their maternal grandparents, Judge and Mrs. Isaac N. Williams, and paternal grandparents, Mr. and Mrs. Josh R. Morriss, Sr., have had on them. When reminiscing about holidays in their home growing up, all three recalled, with great admiration, that their Mom always invited someone to join their family gathering who otherwise would have spent the holiday alone. BUILDING A LEGACY WITHIN – COMPASSION AND CARING. 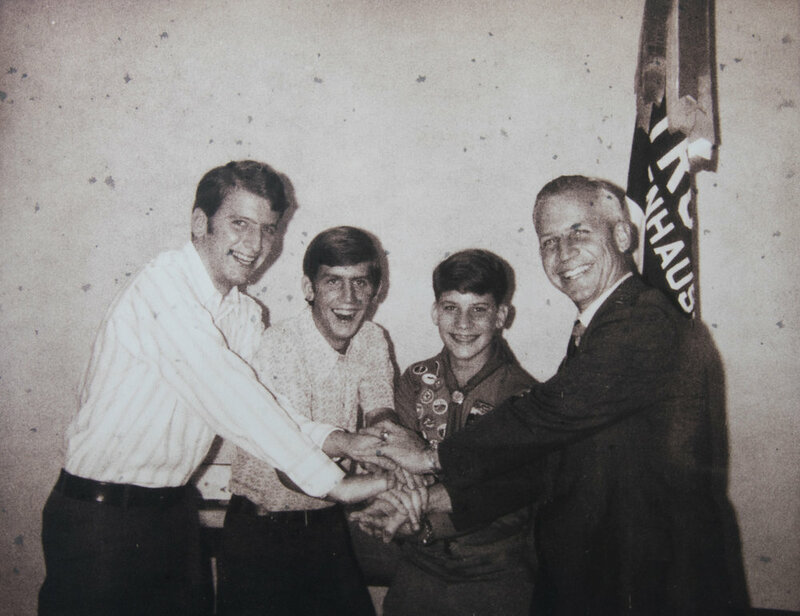 ^ Four Eagle Scouts – Josh III, Don, William and Josh, Jr. – when William received his Eagle badge in 1971. Josh III – the more reserved and serious brother growing up – now serves as Chief Justice of the Sixth District Court of Appeals. Judge Morriss shared that it was this very court over which he now presides that was instrumental in their family’s existence. Their mother, Martha, was raised in Mt. 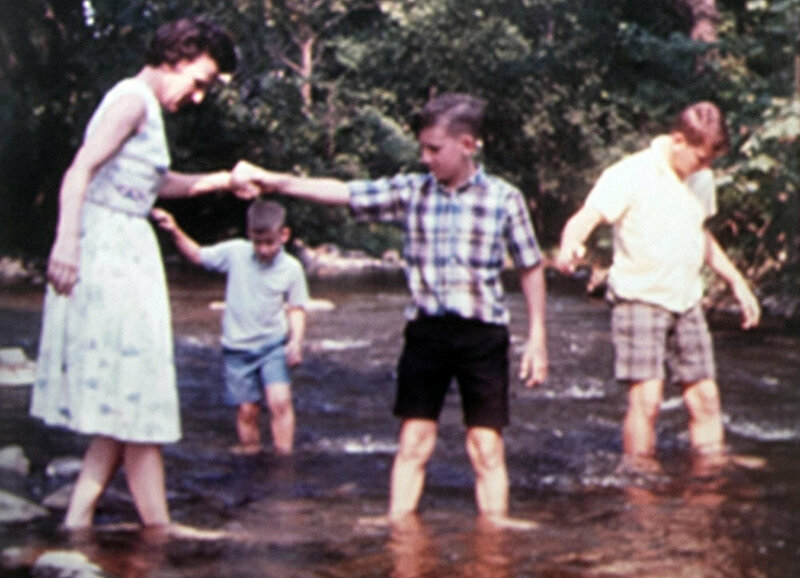 Pleasant, Texas, and it was when her father was elected as a justice of the civil appeals court that her family moved to Texarkana, and she later met their father, Josh, Jr.
^ Martha with her boys wading in the stream at the Cossatot River. Perhaps because of his self-declared shyness, Judge Morriss did not see himself in any type of sales when considering his career options. While working in the Trust Department of Texarkana National Bank as a young man, he was intrigued by the more complex matters that were directed to the legal department. He was drawn to examining issues and thinking strategically, so he pursued the study of law. 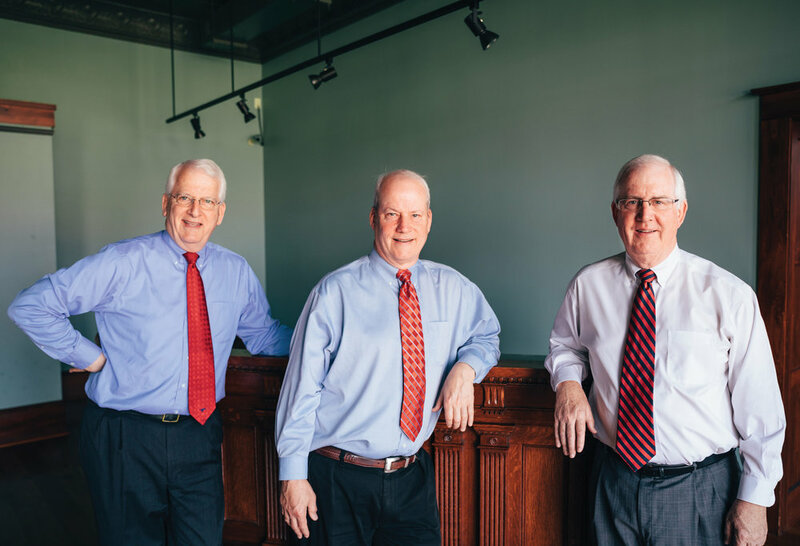 (All three brothers are graduates of Southern Methodist University, and their spouses attended SMU, as well.) Even when his career path led him to seek elected office as a judge, he found he was most comfortable in connecting with constituents by discussing their interests and the issues that affected their lives. Middle son, Don, is known by the brothers as the most fun-loving of the trio. Don never meets a stranger and is at ease in any setting. He thrives on building relationships – so it was a natural fit for him to join the family’s insurance firm, Offenhauser & Company. He views his chosen profession as a way to meet people’s needs and the sense of satisfaction he gains in doing so is apparent. He views his role as President of Offenhauser more as that of a consultant rather than in the realm of sales. William – the youngest of these accomplished siblings, is somewhat of a combination of his two older brothers. He, too, joined the family’s insurance firm because of his fascination with auditing and knowing how businesses work and serves as Vice President. An avid sportsman, William often builds relationships through activities such as hunting and golf. Like his brothers and parents, he is heavily involved in community service through organizations such as the United Way of Greater Texarkana. All of the Morrisses have taken lead roles in organizations that promote education, healthcare, the arts, Scouting, community beautification and revitalization, and, of course, their faith. BUILDING A LEGACY WITHIN – SERVICE TO OTHERS. Families share common experiences and traditions that are often passed down through the generations. For the Morrisses, one very special family tradition is centered around the St. Louis Cardinals. When the subject of those many excursions by train to St. Louis to visit their Great Uncle Rube (their grandfather Josh, Sr.’s brother) is discussed, the Morriss brothers’ eyes light up and the tales begin. Often they were taken to the train by their grandfather’s butler, Peyton, in the evening and would awaken in St. Louis – ready to enjoy Cardinals baseball. “We never thought of leaving our room or running up and down the train, even when we traveled without our grandparents,” Josh III shared. To this day, all three brothers thoroughly enjoy making trips by train to St. Louis with their own families and friends to cheer on the Cardinals. BUILDING A LEGACY WITHIN – FAMILY TRADITIONS. ^ The Morriss family in the mid to late ’60s posing for a church directory photograph. Growing up in the historic area of Texarkana was an adventure in itself. Back in the 1950s and ’60s, the brothers were free to spend entire days exploring the neighborhood in which they were raised in the historic district near Wood Street. (They are almost four years apart beginning with Josh III and their Social Security numbers are only one digit apart.) All of them fondly recall Saturday morning breakfasts at their Morriss grandparents’ home which was only a couple of blocks from their home. Peyton, whom they recall treated them like family, would serve them the most delicious crispy waffles with melted butter. Even their dachshund, Wilhelmina, would go for visits to the grandparents’ home – both for a few treats passed her way and for a bit of peace and respite from her life with the three Morriss brothers! BUILDING A LEGACY WITHIN – STRONG FAITH. Mr. and Mrs. Morriss instilled in their sons the importance of service to others by example. They were taught to be prepared, do a good turn daily, and leave places better than how they were found. (To this day, they cannot pass a piece of litter without picking it up.) It all comes down to Scouting and Christian principles. 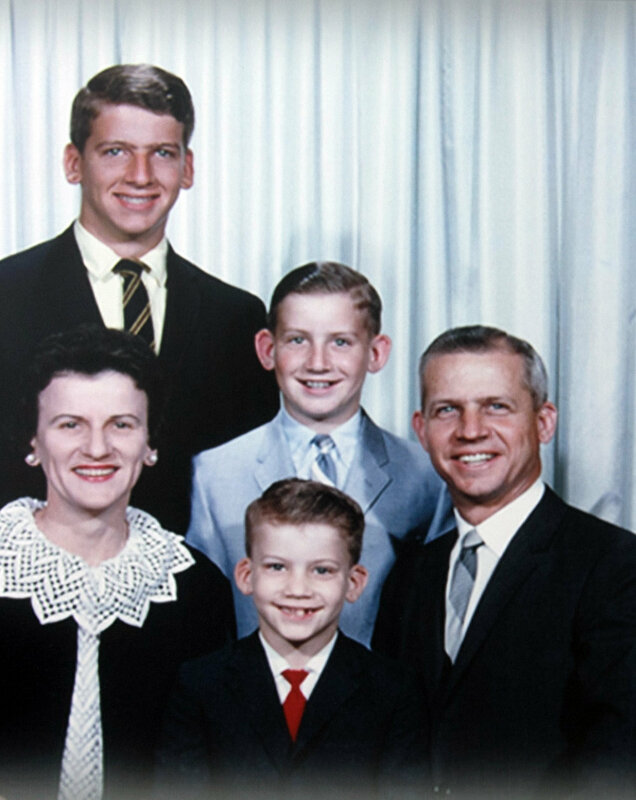 William remembered a saying often used by his Mom, “If you can’t say something good about someone – don’t say anything at all.” Don also recalled the words of his Dad – “work first, play later” – words that also inspired another Texarkana icon, Mr. H. Ross Perot. Mr. Perot often credits Josh Morriss, Jr. as being his role model growing up and the reason he wanted to follow in his footsteps and attend the Naval Academy. How many sons share a role model with legends such as H. Ross Perot? Perhaps one of the most endearing ways of teaching responsibility in the Morriss household was through the family’s “Kitchen Door Savings & Loan.” The money the boys earned for doing chores and their allowances were deposited into their accounts which their Mom and Dad managed. If they wanted to go to the neighborhood grocery for a soft drink or treat, they would make a withdrawal from their account – all of which was posted on the kitchen door on notebook paper. William shared that as he got a bit older, he even made small investments in the stock market through his “Kitchen Door Savings & Loan” savings. BUILDING A LEGACY WITHIN – RESPONSIBILITY AND ACCOUNTABILITY. As the years have passed, the Morriss family has grown but they have remained close. Mr. Morriss, Sr. was blessed with six grandsons. With a unique twist, Mr. Morriss, Jr. was equally blessed with six granddaughters. The family still gathers on Christmas Eve for family fellowship followed by church services. No doubt, the Morriss legacy lives within each of them and the Texarkana community and other communities that the younger generations touch are far better places because of them. A FAMILY WITH A CARING AND GENEROUS SPIRIT.